Middle School - Risks & Choices Academy 3: How Safe Is My Water? The Centers for Disease Control and Prevention (CDC) emphasizes that washing your hands frequently helps stop the spread of germs, including the virus that causes swine flu. As every preschooler is taught, a quick rinse without soap does not equal a proper hand washing. Middle and high school students probably need a refresher on hand washing techniques, and can also benefit from understanding more about germs, the history of hand hygiene, and the role of hand sanitizers and antibacterial soaps in controlling the spread of disease. The award-winning Lather Up! 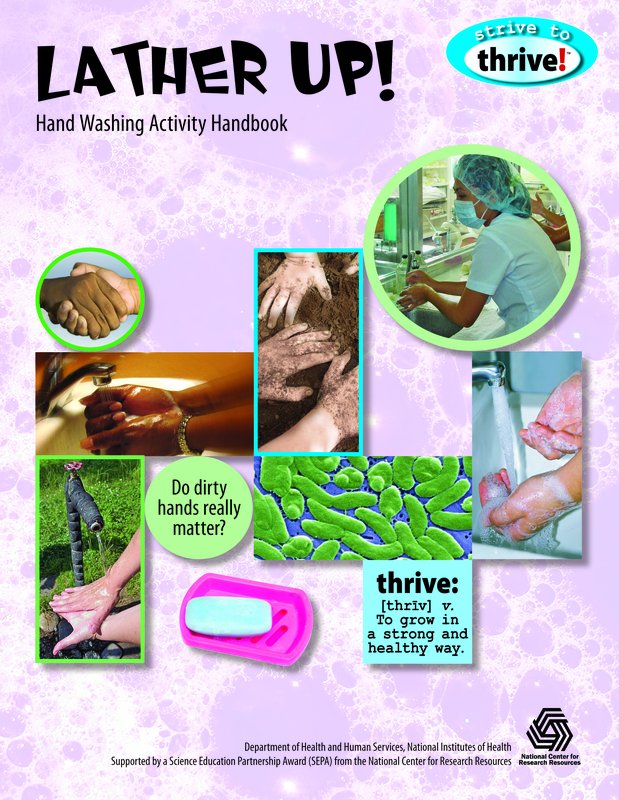 Hand Washing Activity Handbook from Terrific Science Press delivers a strong health message about hand hygiene and engaging science content in a teen-friendly, magazine style. 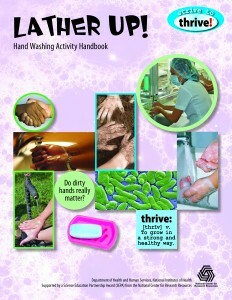 The book is ideal for teen clubs or as an addition to the health or science classroom. Lather Up! features hands-on activities (using readily available materials), magazine-style readings, thought-provoking questions, and games and puzzles. Plus, the companion website at www.terrificscience.org/thrive/ offers free games, puzzles, and opportunities to learn more about the topic. Lather Up! is available on Amazon.com and at www.terrificscience.org/sciencestore/. The Strive to Thrive! series was developed through a collaboration between Mickey Sarquis, Director of Miami University’s Terrific Science Press, and Mary Beth Genter, Associate Professor in the University of Cincinnati Department of Environmental Health. Development of the Strive to Thrive! series was supported by a Science Education Partnership Award (SEPA) from the National Center for Research Resources, National Institutes of Health and by Miami University.